« Is Fifteen Too Young? 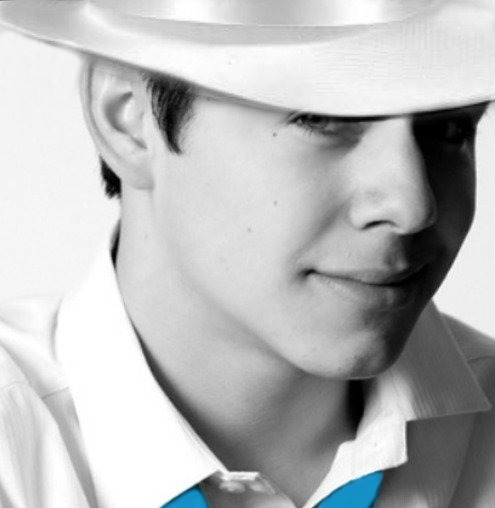 The 30th Annual broadcast of “A Capitol Fourth,” celebrating our nation’s birthday on the Fourth of July, will have the honor of David Archuleta’s presence, as he performs “The Star Spangled Banner” and “Stand By Me.” This event will air live in High Definition TV at 8 PM EST on PBS from the West Lawn of the U.S. Capitol. David said he has never sung before such a large live audience. Hundreds of thousands of people are expected to be in the audience for this event, with millions more at home. Our troops around the world will be able to witness this milestone occasion on the American Forces Network. It can also be heard live in stereo over national public radio stations across the country. 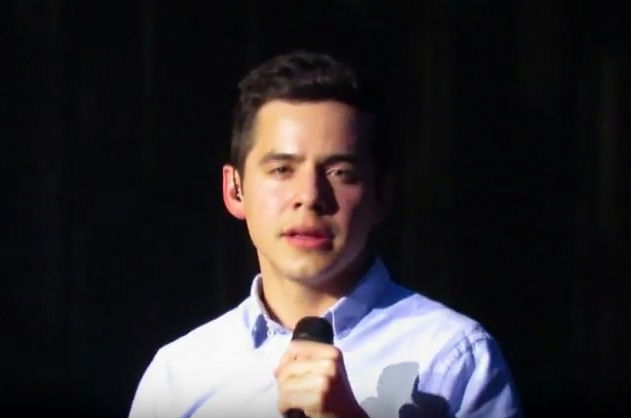 Among the parade of superstars who have performed at this event in previous years include Stevie Wonder, Dolly Parton, Gloria Estefan, Aretha Franklin, Natasha Bedingfield, Little Richard, Tony Bennett, the Bee Gees, Barry Manilow, Huey Lewis and the News, Ray Charles, Faith Hill and Kenny G.
It comes as no surprise that David Archuleta is repeatedly asked to sing the National Anthem for major events. His humble, powerful style of singing this song makes it more special than most other renditions. We are never sure what he will do with it, but we know he will make it shine! This entry was posted on Saturday, July 3, 2010 at 2:45 AM	and is filed under Uncategorized. Tagged: Gettin ready cause here he comes!, Let the fireworks begin!. You can follow any responses to this entry through the RSS 2.0 feed. You can leave a response, or trackback from your own site. I’m so amped that I can hardly wait. I’m even excited for him to experience the rehearsal, where I hear about 30k people show up. whoa oh oh oh… He is our rocket on the 4th of July. So proud. Let the fireworks begin!! I am stoked & pumped & can’t wait!! David will ROCK THEIR SOCKS OFF at the Capitol tomorrow night! What a thrill for him – just so dang proud of our young man! Good Morning! We’re in our hotel in DC, getting ready to go “scope out” the West lawn of the capital. I can’t wait, its been 6 months since I’ve seen David live….toooo long! Emily I thought of you first thing today. The song “Emily Whenever I May Find Her” by Simon & Garfunkel popped into my head! Here is a picture of the Mummers marching band who marches in the local Bristol RI 4th of July Parade. They come from Philadelphia, PA. They dress very differently from year to year. Always a crowd pleaser. If any of you want to share a fav picture of your 4th, send as a .jpg to TheVoiceDA@gmail.com and I will post with credit to you. Lets have some fun this weekend! Hellllo everyone! I am home from vacation! I am stoked that one of my local radio stations has SBL on demand on their website! Wooooo!!!! I hope you are all doing great! Please embed this…if you want to! But, that’s OK if you don’t!! Just dropping by to say hi! I am soooooooo excited about tomorrow night and like Dakgal #8 – I can’t remember ever being so excited about the 4th of July! 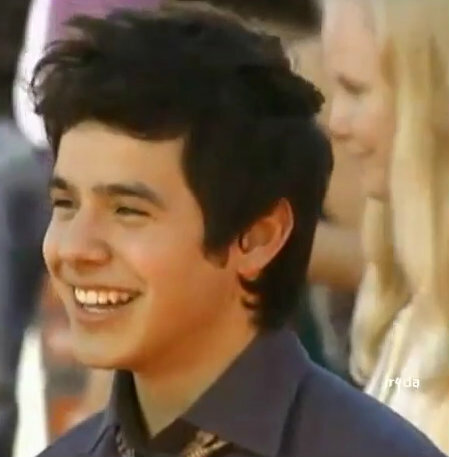 Like all of you, I’m looking forward so much to David’s performances at the Capitol Fourth. He gives such honour to the National Anthem with his heartfelt rendition – nobody does it better. Might I also be allowed a little twinge of patriotic pride based on my having been born in Buffalo, NY – even though I have lived in Canada since I was three years old and am a proud citizen through my Canadian-born father. I recall fondly one time when I presented my Canadian passport at the border and the U.S. Customs Officer glanced at it, saw my birthplace, smiled at me and said “welcome home” – kind of sweet, eh? So this week I am figuratively straddling the border with my dual citizenship – celebrating Canada Day with the Queen and Independence Day with David. Please excuse me while I put my miniature Stars and Stripes on my balcony. I am so happy about this Fourth of July and the anticipation of David blessing this country with his gifts of his patriotic reverence and his music. I’ve told everybody I know to watch it.. some of them look at me funny, and I am so anticipating talking to them on MONDAY! Fellowfanaticfans.. this is going to be inspiring and funnnnnn!! Hey steno, that is a cool story. My connections with the U.S. are…let me see…relatives, friends who have moved and so on but most excitedly I have to say my friends I have met because of David and David himself…Are you ready people of the world to hear David?? So excited for Capitol 4th! Emily, our Archureporter, have a greaaat time! SB, #9, I didn’t think it would ever be possible for me to take him for granted… thanks for the reminder. Thank you for this fun- get fired up post! I love the pic of David with the fireworks… I can almost hear him reaching that magical place when he hits on the word WAVE.. Nobody sings it better! I couldn’t be more proud of David WHOSE VOICE WAS REQUESTED at this momentous occasion!!! Steno: Born in the USA….and right in my homestate…NY! Emifriend: That pic is another Angelica masterpiece. Dang, she is GOOD!! For those starting their celebration early, have a safe and happy Fourth! Thank you Bebe and Abrra for getting the party started. I feel the excitement!!! Brought Tracewillow’s comment over from the last article…just because. A big HI to you guys!!!! my “chat-ty” friends!! What a great pic of welcome! Thank you, you genius, always coming up with the loveliest of pics! Yes I’m from Malaysia. We adore David here – want to adopt him – maybe we’ll just cut the crap and kidnap him! “This site runs on fan power”. Haha love the pun! SBL is crazy mad ridiculous! I’ve listened to short snippets, slightly longer snippets, the full song like 50 times and luurve it! I never would have thought that David could sing techno SO DARN WELL!! Dang he sings everything, every genre of music muuuuuch betteeeer than any singer I know. I used to worship Elvis in my younger days but I am sorry…or is it happy.. to say David is the real deal – David is soooo much more worshippable. And those looks. And the person. And that smile. And that staaare. But you know about all that. We are all special people guys. We know a good thing when we see it. Those who don’t get him yet, well, it is unfortunate that they are a little slow on the uptake. SBL will open another door to them and give them another chance to see the light. And when the album comes out – WHAM! – God help them. THIS: “I am so happy about this Fourth of July and the anticipation of David blessing this country with his gifts of his patriotic reverence and his music.” Beautifully said! To our Sweet 16er, Emily, and to others who will be attending the gala — can’t wait to read all about the celebration and David’s performance….ENJOY!! Hope you’ll report back as soon as you’ve had a chance to exhale!! emilyluvsarchie Whoa we were watching the guy practice announce he says blah blah blah David Archuleta and he actually came out! I bet once the planners of this event hear some of the MGR of David with his mmmmmms oohhhs and ahhhhhs and wahhhhhs… they will invite him back to sing the “1812 Overture” with the symphony next year. YJ Thank you for showing us Emilyluvsarchie’s tweets. Getting so excited! Have to go out now to do Saturday errands. The timing couldn’t be more…imperfect. #11 “Welcome Home” – Very sweet. What an exciting weekend!! David will have millions watching him sing. Dinner with Vanessa Williams…Mom and Aunt Lori with him!!!! enjoyed dinner with @lorijazz @lavahi @davidarchie ,Lupe and Vickie….good shrimp with garlic sauce at Kanlaya Thai. 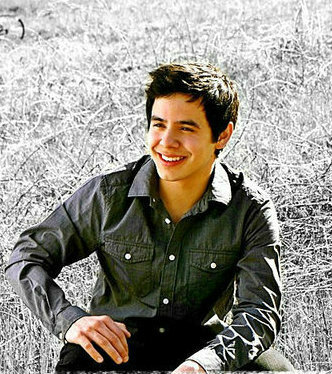 David Archuleta usually spends his Fourth of July holidays having a barbecue with his family and watching fireworks. This Sunday night, however, he has big plans. He’ll be performing live on the West Lawn of the U.S. Capitol Building for the annual PBS special A Capitol Fourth. Also on the bill are Reba McEntire, former Hootie & The Blowfish singer Darius Rucker, Gladys Knight and actor/singer John Schneider, best known for The Dukes of Hazzard. Jimmy Smits is the host of the show, which airs at 8:00 p.m. on PBS. David rehearsing…could see him on the screen. Wow! I haven’t been this excited about a Fourth of July since….FOREVER!!! All because of David! He really makes life exciting & something to look forward. I just adore him and all he stands for. SB..about the JB’s NA…I hope I NEVER hear such a poor rendition of our NA again. The NA cannot & should not ever be attempted by so-so singers. It’s blasphemy! There are a few true vocalists who do justice to our NA, and David is at the top of that very short list. And the others on that list are years older than David! emilyluvsarchie! Wish I was there too! I think I’ll go see Toy Story 3 today…after reading a great article by HG at Soul David, I am compelled! Ok The first National Anthem is almost uploaded on You tube! If any of the interview videos are worthwhile I’ll post them later too! My goodness, I wish I were as incoherent as our Emilyluvsarchie!! omg, thanks Emily, love the ending and the trumpets! Thank you, emilyluvsarchie — David is a treasure (and so are you!). Ohhhhhhhhhhhhhhh!! That ending of the NA by David…WOW!! I don’t know if my heart will be able to take his rendition tomorrow night! One thing is for sure..David does make me so very glad to be & feel alive…if I could I would bow to him in humbleness & thanks. I mean that from the bottom of my heart & soul. Angelica, you’re so right. Being invited to this much coveted event is documented proof that an artist has “arrived” as a national figure. The heady list of artists who have appeared in previous years speaks for itself. Emily, I just saw your video. Way to go. David is the perfect cure for the summer heat. Just unleash that voice, and chills engulf your body. I can’t wait for tomorrow when David will show the world what we have known for the past 2 1/2 years. Do you have fireflies? I. am. there. There is a gap my friends. A crater. A universe of unanswerable and ageless distance lies between. That is all. I made an mp3 of pre-rehearsal performance. I edited it down to just him singing. Enjoy! Great job on site, just amazing! I want to hug your parents. bluesky 40 – yes yes yes yes and yes! I don’t think I’d be to far off base to say that this will be a 4th of July that Emilyluvsarchie will never forget, ever. Up until now, my favorite memory was when my son was about three. He was standing in front of me and was so startled and frightened when the first BOOM of fireworks went off, he turned around and literally climbed my frame –like a monkey climbing a tree–until he was almost sitting on my head. I’ll probably post a hundred times today and tomorrow–cause I don’t know what to do with myself, because I’m so excited and there’s no one here to share it with. Hugs to my friends at The Voice. Thanks for being here. OK I’ll shut up now! Dakgal, well we’re all here and eager to share it with you! I have a ton of work to do today, people coming tomorrow, trying to get something done (have SBL blasting)…. but I am so excited for him I cannot stay away from the darn computer!! That NA,timeless. He is a treasure. We call ’em “lightnin bugs” here! Come on over! Aabbrraa– I was wishing I’d obtain an MP3 for posterity.. thank you…David sings that song like..like I have been waiting a lifetime to hear it… like it was meant to be sung. When David sings the “Star Spangled Banner,” unlike other artists, it’s about the flag and this beautiful country– it’s not about David–which in turn, makes it ALL about David, but he doesn’t even know it. It’s the same with “What Child is This” which he turned into an invitation and “Silent Night” which he turned in to a lullaby. I apologize for spamming but I am sputtering trying to find words to this wonder that is David’s artistry. Also, when other singers sing the National Anthem, I am always a little nervous, anticipating their messing up on the high notes or by stylizing it too much.. With David, we can have full confidence he will hit the notes and keep the meaning and intent of the song in tact… And I love him for that. Such a perfect post for today. I usually don’t get too excited for the 4th either, but not the case this year!! Can hardly wait for tomorrow night!!! It is going to be so awesome. He sounded so incredible at rehearsal!! The whole world will get to hear our David tomorrow night and he will start needing a bodyguard cause everyone will know him now. And I just love Emilyluvsarchie, she is so awesome to keep us updated and to have posted that vid already. Fans on Twitter keep asking if she got more and I knew if I came here she would have kept us updated and sure enough, she does have more. I have her tweets coming straight to my phone along with a couple of others, like @327dauta_WashDC (who said she just met emily and some girls from Utah who went to school with him at Murray High. I just watched the vid of him from today’s rehearsal and he looked awesome. Wearing the same shirt as at the SLC book signing. He looks rested and happy and talked about memories of July 4th with his family and about the Stadium of Fire down in Provo at the BYU stadium (where thank goodness Carrie Underwood ended up there so that he could do this instead)!! He has been to it a few times. I have never actually been to it, but I have been down by there and watched the fireworks from it, cause my brother-in-law is one of the BYU football coaches and he usually has a barbecue and we go down by his office and watch from the balcony there. I would have for sure bugged him for tickets this year had David been the headliner!! If he ever is, my brother in law said he would make sure to get me a ticket or two. Nice guy, just gotta love him!! David Archuleta interview from today’s rehearsal about 4th of July Memories This was from @LizzyDizzy88 on twitter. IT WORKED!! I am so proud of myself:)(pats herself on the back!!!) 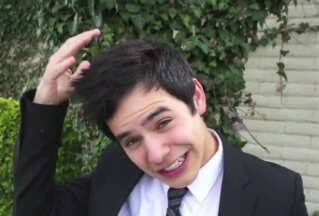 I am getting smarter by the day thanks to David Archuleta! Thanks for the interview video!! It’s awesome! As for the rehearsal, I’ve never heard a rehearsal sound this good, better in fact, than the actual performances of many singers. I’m so in awe today. The holiday feels more humbling this year with David participating in “A Capitol Fourth”. About to head to an annual family picnic with fireworks…and just stopped in. 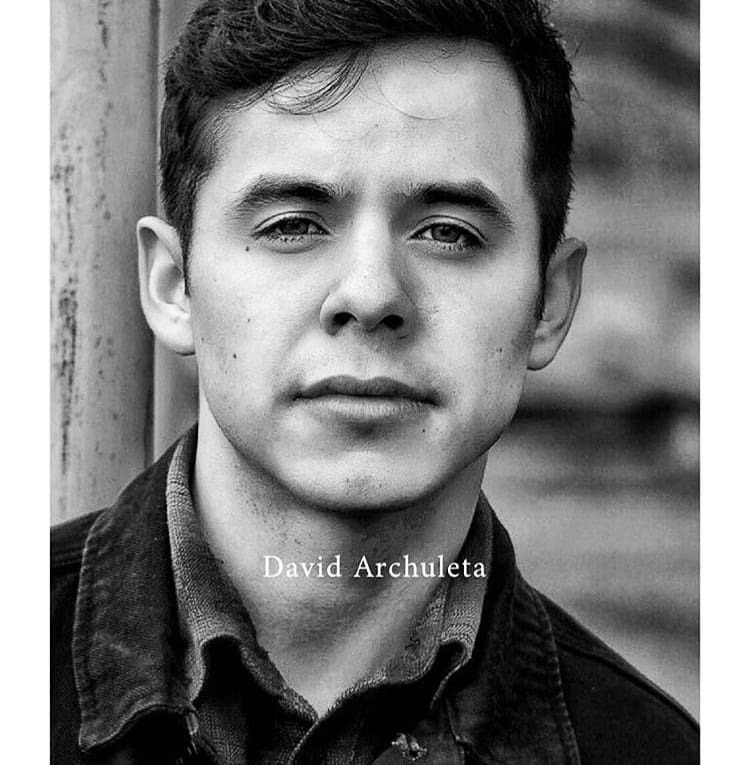 “It comes as no surprise that David Archuleta is repeatedly asked to sing the National Anthem for major events. His humble, powerful style of singing this song makes it more special than most other renditions. We are never sure what he will do with it, but we know he will make it shine!” So true. Nuf said. Tks for this site, with always such heartfelt, respectful words for David. Once again~Happy 4th wknd, all! God Bless America. and David too. Could he be singing SBL?? Hope everyone here is having a nice July 4th weekend. These pics are fabulous from rehearsal today of David! 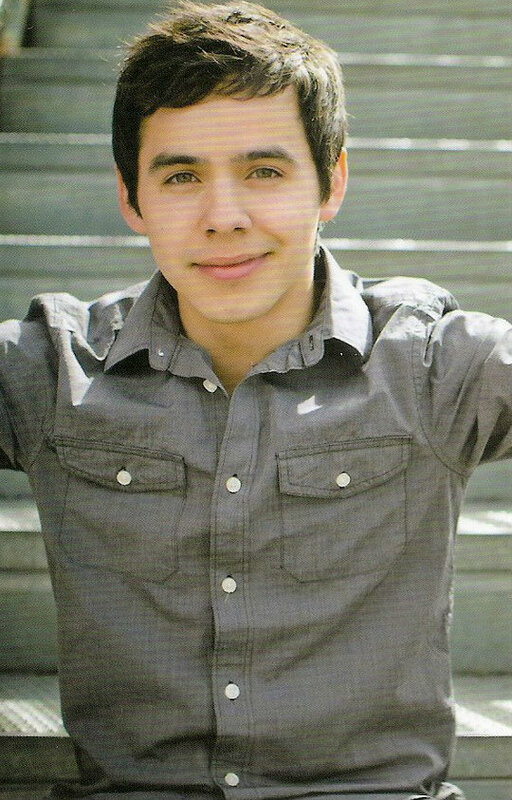 @idolsnow DAVID ARCHULETA will APPEAR on Teen Choice Awards. We haven’t confirmed his “performance” yet — apologies to all Archie fans! If I remember correctly, David performed at the Stadium of Fire when he was younger. I wish I could have been there when he did. I also think that was when Reba performed the same night. That is why he is so happy to be performing with her again tomorrow night. If David’s performance is any thing like this one we have just heard, well, all I can say is WOW! GREAT! AWESOME! POWERFUL! MAGNIFICENT! WONDERFUL! BRILLIANT! THE BEST!!!!! 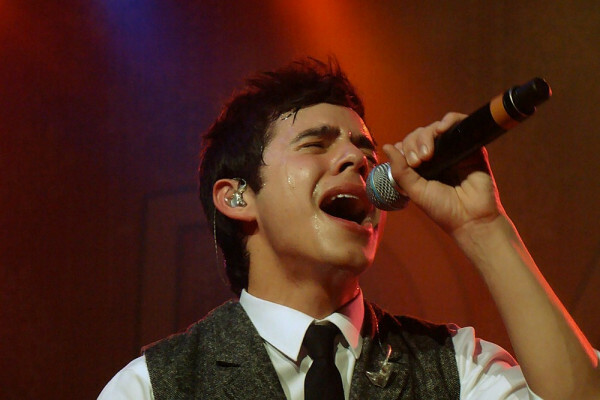 David Archuleta has 400,00 followers on Twitter! Abrra! 400,000 followers calls for a CELEBRATION!! Emily…Thank you for the video and keeping in touch. Thank your parents for us please and I hope that they understand how fantastic this is to have the news as it happens and well, to have it at all!! Will there be any dry eyes tomorrow night??? That’s right SB! My wand is in the shop for a magical tune up. Spam away! Omg! they said if someth happens to tomorrows show they will air tonights show! so may not b able to show davids poster. so it will be full blown show! i guess we will hear david sing in full power! New slide show up top left sidebar! Oh THANK YOU Abbra–how absolutely beautiful–your picture choices are fantastic ( couple of them made me choke up ) especially Betsy’s son. And to have a friend of Davids singing makes it even more special.She does a great job on this song. Between David’s performance( even tho just practice), your slide show, and all the comments here today, this pre 4th is shaping up to be one the best ever, and were not even to the main attraction yet. I’m so excited and I just can’t hide it! We are being prepped by the production person for crowd shots. Bahhhhh!!!! Thousands on the Capitol lawn now. Shooting the cannons in 5 minutes. 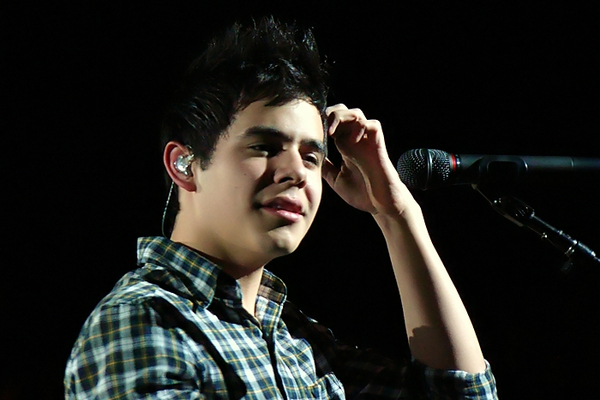 Lots of Archuleta fans here. Thanks, I would love to claim authorship of this post but this is all Abrra’s and Bebe’s. I had to put myself as the poster and just give them a byline at the top instead because they both insisted on sharing the credit with each other. Same thing with the slideshow. Neither would take credit for any of it alone. It was a team effort and they make a great team, don’t they? What an exciting 4th of July anticipating what is coming! Muldur’s pics of the gathering crowd for tonight is just for a rehearsal? Think he’ll be there tonight or use a stand in? How wonderful of him to dedicate SBM to the troops! I can’t help but think that David’s already strong patriotic feelings have swelled since touring all the museums and seeing the Declaration of Independence and other amazing documents and exhibits. It has to make an impression on one. I think we may hear some of that increased pride and love of country in his performances. David! Red shirt. singing National Anthem with orchestra. Stunning! Red shirt, white tie and patent leather & suede boat shoes! 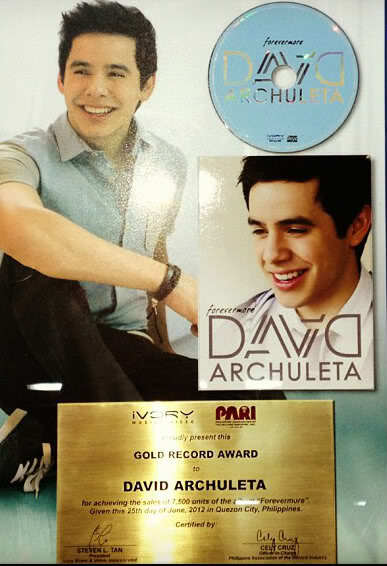 Nice @DavidArchie! Emiluuu!!! Where are you???? haha. I know exactly where she is. Cloud #9. Hope this works…Has anyone posted t his? Love it! Sorry! Messed up on the text. My first time. Come SPAZZZ with us after 10pm EST TONIGHT! That vid of the JB. What were they singing? The NA? Really?! A very happy July 4 to all of you!! Time for a little Voice Unplugged! Stand by me! holy mother of all gods! patnbdwjmeafmwm!,!?@?!@! Just came on & what do I find…A VLOG from David!!! Oh sorry..I lost my head there…didn’t realize David’s magnificent rendition of “Stand By Me” was already posted! My bad…as David would say..heh! As always, thanks for getting the performance posts up so quickly, Abrra! A virtuoso performance of the Star Spangled Banner to be sure – nobody sings it better or with more reverence than David. Loved his respectful comments to the troops and then bringing the message home with the always stellar Stand By Me. It was all terrific… and over much tooooo soon!! And if that wasn’t a yummy enough treat, what a nice surprise to find a new vlog! Thanks for posting it pronto SF! Amazing how in the midst of all that David’s doing on this busy and exciting day, he sets aside time to connect with his fans and express his heartfelt appreciation for the significance of the holiday. *sniff* Could we love him any more?? Emily!!!!! You got up THAT CLOSE?!?! WOWZA!! Great vlog! I honestly do notknow another person who lives more in the moment. I loved that skit, I think it was a Gone With The Wind skit on her weekly show. Emmegirl…it was the Gone With the Wind skit, he is so real. SF…Wasn’t that SBM one of his best? Sandybeaches…I agree, he’s getting a better education that most high schoolers will ever get. Emmegirl, I laughed out loud at that part too! I thought David would be too young to know about that. OMGOSH, when she walked out with those curtain rods still in the curtains I thought I would die!! Glad they preserved them for posterity in our nations capitol. David looks good in red. publish this to international fans, you may find there the PBS channel, I’ll be the 4th of July celebrations and of course we will see david, good luck to all. Contact Abrra by clicking on Contact Us, on the top banner. Welcome to The Voice and to the States soon!! Loved this episode. One of my favorites. What a beautiful slideshow!!!!!! Wow!!! Thanks for all your hard work, girls. Hi everyone! Happy July 4th. His vblog = love him! I love it when he talks history gah. Have a wonderful day and see you later tonight! what can we say other than tonite will be EPIC! I am always so proud that in many of these big celebrations (playoffs, Pro Bowls, Tennis National, inaugurations, etc etc) the planners turn to the artist they can always count on. David. Can the Super Bowl be far off? You are so right about that “a dream come true” part! And River…I’ll keep dreaming about that Super Bowl! I have replaced the full Rexburg concert file on my mediafire with a better file. This one is seamless with no partial songs. Snarkies is reporting LIVE streaming of tonight’s ” A Capitol Fourth” at 7 CT and 8 ET. Suggest visiting all the links before the show starts to see what works best for you. I did some checking on my area PBS stations. Only one of 3 (Boston ch. 2 WGBH) is broadcasting the show. Glad I checked because I might have DVR’d the wrong station! is the best one to watch tonight! You just click the link and the video starts! It plays exactly what is on my tv right now. I’ve been checking it periodically. So the minute you click the link you will see the show!! No need for any plug-ins and stuff like that. I read that blog. Why do I get the impression she kept expecting David to turn into some immature jerk? HAHA She can’t handle the reality that he is perfection! Thanks for the SPECTACULAR slideshow!!! I am covered in goosebumps, feeling very patriotic and grateful for so many blessings. Thanks to those who have posted pics, videos, reviews and info on tonight’s show. Can’t wait!!!! Happy July 4th one and all!! David is going to be on TV at NOON! Brian Wilson is interviewing him and Reba McIntrye!!!!! On the Fox News Channel! Happy fourth of July folks! Reba McIntire — and David Archuleta on my program today — starts at Noon EDT. see you then. Pabuckie, thanks for the Fox news alert! Ran to the t.v. and caught the coverage just as it was being televised. Nice shot of David! Happy 4th of July one and all!!! Is everybody ready for an epic day and evening? Have family visiting, my son and daughter in law with 3 grandkids and their 2 German Shepherds. We live on a lake and and on the 4th of July they always do a great fireworks show. Everyone sits in their boat or on their porch or on the pavilion to watch. We will be watching from the lake with others in boats. So I will have to set the TIVO for the show and hurry back to watch when it’s over. So excited about tonight’s performance by David in front of MILLIONS!!!! 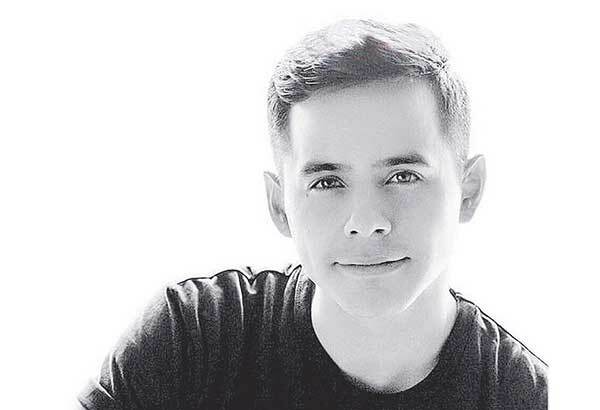 Pabuckie, thanks for posting that write-up about David from Vanessa’s blog. She called him “an old soul,” and was clearly so impressed with his respectful attitude and manners. I loved that she said there’s a difference between loving your voice and loving to sing and that David loves to sing. So much there that shows how well she gets him. Betsy, thanks for bringing that Carol Burnett video. Hilarious! Betsy #100 Hysterial clip and one of my favorites from The Carol Burnett show. So good to see it again! Thank you! GREAT NEW VIDEO! Screencappers beware! Don’t know if this was posted already. He says he would love to do a duet with Glady Knight one day and talks about his album! David is on stage talking to production guys, posing for couple pics. red tshirt & jeans. Pictures from the DC on Heels ladies Facebook. Well here we go folks. Just too excited for words. he will be grand just as he always is. oh my did I miss the Anthem? I had to gather my bearings…I couldn’t speak for a while…heart too full. Gahhhhh…Red, white and (blue? )never looked that good….OPENED THE SHOW BABYYYYYY. And still so humble, and sweet as American Pie. THAT is the kinda performer that can represent us well. I thought I saw his little hand shake (and I died inside and held my breath)…but of COURSE…he nailed it. Ok…I’ll calm down now…try to act like a sane adult again….somehow…someday…maybe. This interested me because the thought echoed my own in the past…before David. I can’t help but think Mr. Bestor has never heard David sing the national anthem. Has David sung Stand By Me yet? Did I miss that too? Oh good.. thanks! And Bebe is right, they are going to re-air this at 8 30 central time too!!!! whew…. It was getting ready to be an Awfully Sad Night in Emiville! Thank you one and all..I am going to have to send a donation to PBS or something too! He just gets me right in the heart…everytime. That was the best performance of “Stand By Me” E V E R!!!! Oh yes Bebe…the best performance of Stand By me…EVER!! With tonight’s two performances, I’m sure David has won the respect of many people all over the world. In my little corner of the world, I couldn’t be more proud of David. It takes a lot for my husband to have tears in his eyes from a television performance but that’s exactly what happened tonight. 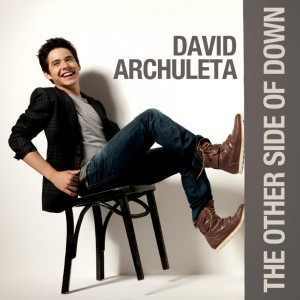 and as melodramatic as this sounds…David always makes my heart feel more than it can hold…it overflows. Since Idol days when he used to touch his heart…I’d be doing the same…as if I couldn’t hold it all in there. I don’t know what it is…but it just IS. SB you must be correct…he is THE wonder of the world. My heart is overflowing, not sure what to say anymore. Could not be prouder! 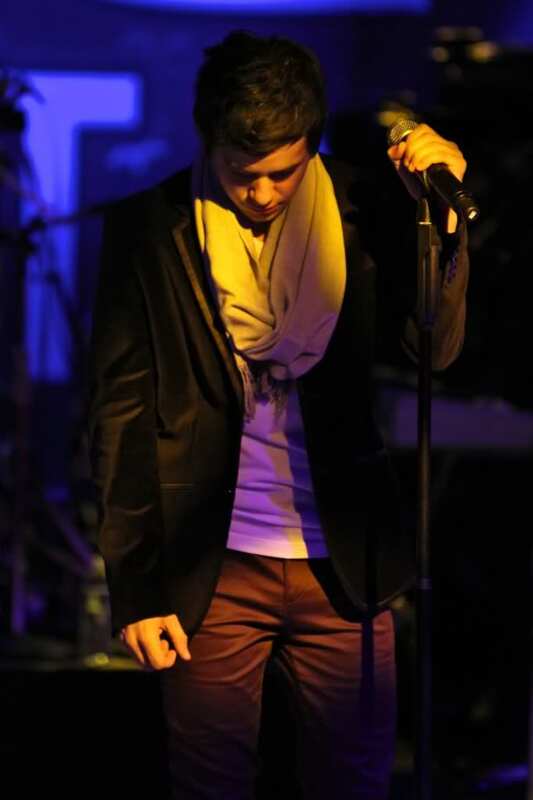 So proud of him…The Amazing David Archuleta…Yeah!!! Happy 4th to everyone! We are the luckiest fans in the world tonight!!! Ok I can breathe now! Thank you Bebe for your quick responses. I am so proud of our brave,talented and hard working, well grounded and sensitive, bright, bright bright STAR! Just me and at least 400,000 other fans I am sure! Just as we play Christmas music in July, it would not surprise me to find us playing these in December! Before signing off for tonight…final thought..
considers it his life’s work…no big star trip, which he isn’t the least bit interested in. This is the face of that young guy, always humbled to have these opportunities…I see unaffected, shy and humbled, happy and grateful. I always see that in his face, as we all do…and I just love it. So happy he was included in this tonight; happy for him. Thank You, David! For the music from the heart and another job well-done. David looked like a Star! Am I biased? Not in the least! I would say the same thing if I were not a fan & if I listened to The Voice for the first time tonight. In fact, there may have been hundreds of people there who heard & saw David for the first time and are thinking the same thing. I think David did not “need” the orchestra OR the background singers. David is one of the few vocalists who just does not need accompaniment. The only instrument he “needs” is his voice. The only thing I wanted to hear & see tonight was David & he did not disappoint. Thank you David. I will never forget this Fourth of July. Ever..
David was so great! FYI the sound on the encore presentation on PBS was much better then the live show! 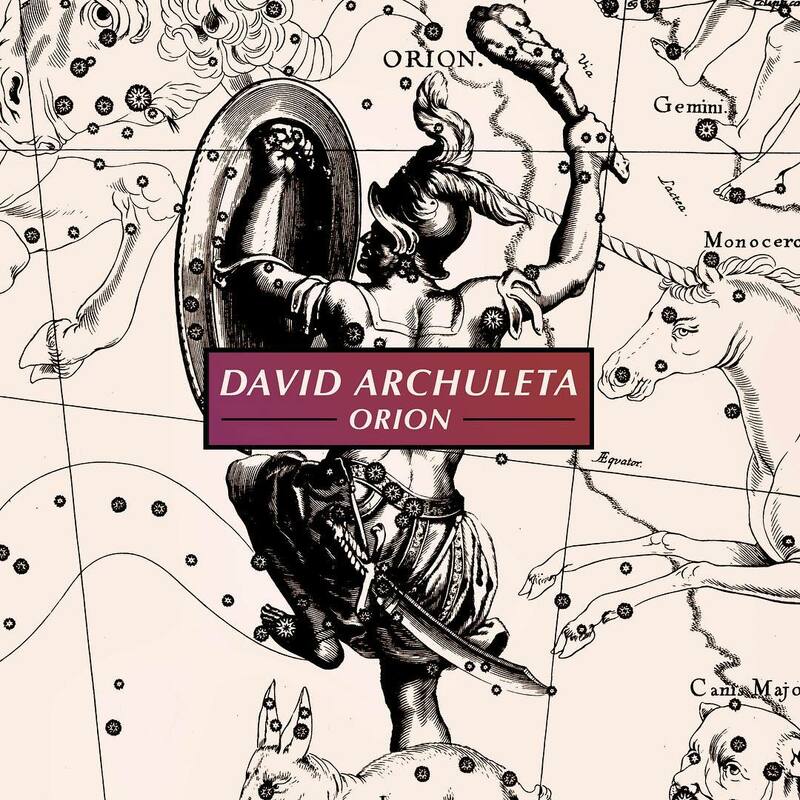 And a Triumphant Fourth of July it is…thanks to David Archuleta, a true American Idol. It is interesting that the excitement generated by SBL comes at this auspicious time of commemorating independence. I suspect, David’s chosen direction based on the “entree” that he has offered for his sophomore pop album is largely due to a freer state of mind and body. He is more confident, less awkward (at times, LOL) but is more definitive & expressive in where he is at and where he wants to be. A little freedom indeed goes a long way. 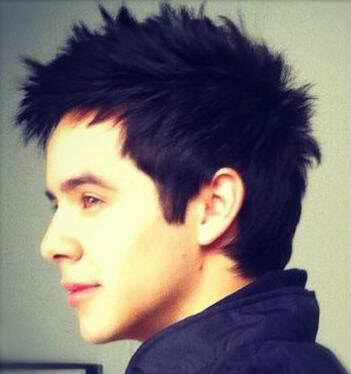 The beauty of it all, David remains in essence, the David we have fallen in love with 2 years ago. Exciting times ahead. Happy independence day indeed! Although I prefer to see him on a bare stage, wearing a T-shirt and jeans, singing “Touch My Hand”, etc., it was a pleasure to see him all dressed up and singing his heart out for the whole wide world to see and hear. David is really in the big leagues now, and you could see how much respect he is given by the “establishment” in the entertainment business. How about that Gladys Knight? What a pro, and she hasn’t lost a step as a singer or entertainer. I spent Friday and Saturday with my daughter and her family in a little community type celebration in the south-eastern end of Utah. What a delightful 2 days. At the parade on Saturday there was an F-16 jet flyover that brought a lump in my throat and tears to my eyes. As the jets left (they were verrryy low flying) we looked up the street to see the American and Utah flags being carried by military personnel and right behind them was the Army National Guardsmen in their field camos and in perfect cadence. This unit has been deployed to Afghanistan and they leave next week. I don’t know one single soldier in that unit, but I felt like every single one of them was my own child. I was so proud of them that I thought my heart was going to burst. The clapping and cheering was a beautiful sound as this small town and it’s neighboring community showed their support for these sons, brothers, and fathers. Then, to come home and hear David sing his heart out for the nation and these and all the other soldiers is—wow! !–beyond incredible. I’ll forever remember this 4th of July. Just one more thing– Did anyone else feel the beauty in the way Jimmy Smits pronounced David’s name? 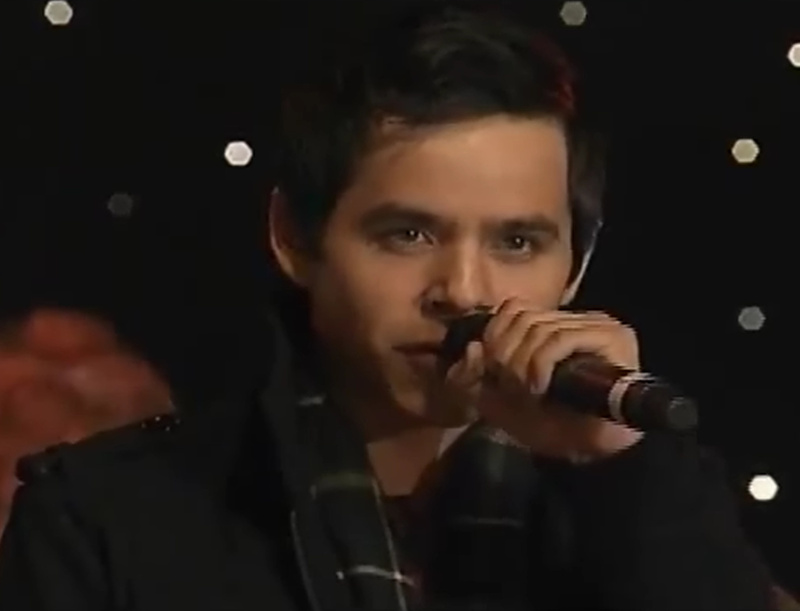 My heart melted as I heard the beautiful Latino accents put on Archuleta. Thank you Mr. Smits!! My heartfelt thanks to all you amazing people for all the pics and vids of David’s July 4 performances! Ha! This is too much! HelloGorgeous over at Soul David is a most prolific “David Dreamer”, so here is her latest night time adventure. “I guess my intense analytical blog post from yesterday affected my subconscious, as I had my 20th David Dream last night! A record! And, yes, Toy Story 3 was stamped all over it. I dreamed that David and I were in some kind of play room, where we each presented a box of our personal belongings to each other. I forget most of the details, but I was giving David some books from my prized collection, while he was giving me some music CDs from his! I can’t recall a single title from our things. At the end of it all, David took my hands in his (big ol’ hands that they were, mine were dwarfed in his). He then asked me to lift up his shirt! I was quite taken aback because we all know how modest David is. When he saw that I was hesitating, he lifted up his shirt himself! And what did he reveal? Some exquisitely designed calligraphy emblazoned across his chest! I was shocked because I didn’t picture David as the type of guy to have any kind of tattoo on his body. I tried to make out what was written but couldn’t. “It’s from the Good Book,” he told me. And as David was about to tell me, I woke up. My 20th David Dream, and this is the most intimate and vaguely sensual he’s ever been with me! I awoke early this morning and I don’t know why really. I have been looking at ABC, NBC, & CNN for coverage from lsat night’s July 4th celebrations and all I have found is the hot dog eating contest. Why would I think that there would be coverage from the nation’s capitol anyway,haha, yes I guess I have missed it. I have checked out most sites and no one is home there either. Good Morning, David was wonderful last night! The crowd response was incredible. Since we were near the front for the rehearsal and really couldn’t see the stage, we decided to go back far enough in the crowd to see the big screen above the stage. Before the show started, they announced the performers and David had the most cheers, by far. Made me happy! Then after he did The Anthem, I heard people all around talking about how great he sounded. One man said, ” That’s how you sing the National Anthem.” Then, during Stand By Me, everyone was on their feet, singing and dancing. It was funny, and (probably?) a coincidence, but after SBM, my younger sister said, “turn around and look, everyone’s leaving”. And, no kidding , in our area many people were packing up and heading out. Could have been to get in place for fireworks, but I prefer to believe they had seen what they came to see! And,, honestly, as we walked out in a crowd (as Lang Lang was playing) we heard david’s name everywhere! People were really talking about him. Every once in a while someone would notice our David shirts and tell us they loved his performance, or that he should have won. THIS WAS JUST WHILE WALKING OUT! Four different times , we heard families talking in other languages, then we would hear “archuleta” in the middle of it. Very exciting, I’m sure David made some new fans last night, or at least opened some people’s eyes. I better go pack up, we’re leaving in a while to drive home, I have some more stories I’ll share in a bit. tawna #164 – yes, I did notice how Jimmy Smits pronounced David’s last name and it was beautiful!!! So glad you mentioned this. After a wonderful relaxing weekend away (much needed) I wanted to wish you all a belated Happy Fourth of July!!! I am needing to catch up on David’s performances…. what fun!! Hope you all had a fab holiday! I’m so impressed with the level of excellence I’ve experienced since being asked to participate in “A Capitol Fourth”. 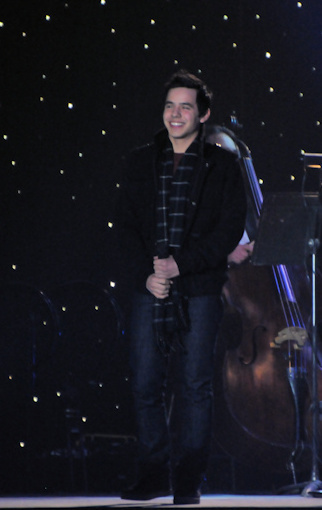 I’m especially impressed with the very polite, well-mannered, and delightful David Archuleta. No arrogance or swelled head with this young man. I’m also happy I had a chance to meet his mom, Lupe. It’s funny. All three of us background singers are old enough to be his mom! My own daughter is 10 years older than David. As old school as I am, it is SO refreshing that, in spite of his notoriety, he demonstrates such respect for his mom. That respect, then, carries over to everyone else he meets. He has been so gracious to all of us. God knows I can’t stand, and don’t have patience for bratty, smart-mouthed, disrespectful, kids who have been informed of their rights but not the responsibilities that go along with them. David is a breath of fresh air, and I pray that he doesn’t allow the trappings of fame to chip away at the standards that Lupe has clearly set. I can’t say it enough. Good home training goes a long way. There have been four rehearsals. The first was on Thursday afternoon with Jerry Grossman on piano, and Jack Everly, conductor of the NSO. Lori, Vickie and I met David for the first time. We were given sheet music, and from the moment we all sang together, it was as if we were a musical family. We got suggestions from Mr. Everly concerning the end of the song, and he told David to take all the time he wanted. Of course I was happy to be singing alto, and couldn’t have been more delighted by the blend. It must have worked because David was pleased, too. To me, that’s all that matters. If you’re a background singer, your job is one of support. There’s already a leader in place. Push him or her–not with random noise, uncontrolled adlibs or distracting onstage antics–but with the tight, harmonious vocals a song calls for. Being a background singer is a nice way to affirm the voice of someone else, and help make their job easier. I just kept remembering what someone told me a long time ago, “Be prepared, do your best. You are valuable. Don’t go in without having done your homework”. David’s not some whining teeny bopper. 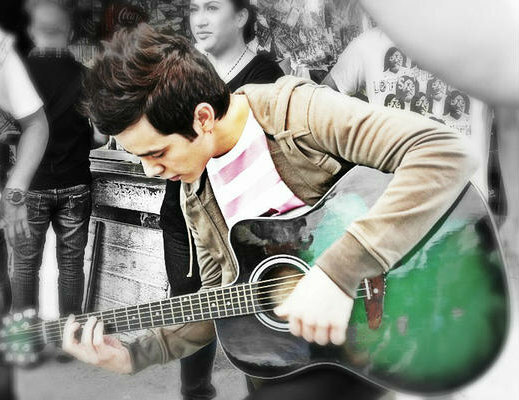 He’s not a singer one can easily dismiss because of his age, either. 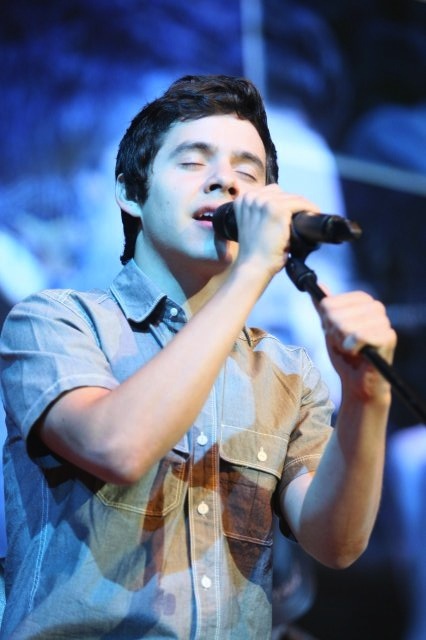 It is so apparent that he loves to sing. That’s different than loving the sound of one’s own voice. I like good singing. No. I ADORE good singing. God knows I’m happy when a singer not only performs a song, but communicates it. I think, by now, I know “heart” when I hear it. David’s vocals seemed to get better with each rehearsal. Some people need background vocals to camouflage the fact that they can’t really carry a tune. That’s not the case with David. The second rehearsal on Friday morning was at The Kennedy Center, where we were accompanied by the NSO. David’s voice and the never disappointing symphony was breathtaking. For such a young man, he has an old soul, and it resonates. Now if I could just borrow Michelle Obama’s arms for this evening, it would be perfect. bebe – that was a classy text by MJ. emily – thanks for everything you do for us! Sounds like you and your family had a great time. I loove hearing anything and everything about others appreciating him and his talent, it makes me soooo happy! tawna 21 – I noticed Jimmy Smits intro too! He most definitely has been bitten by the Arcucharm! Tessielynn 157 – Darn, I tevoed the live one! Poppin’ in, only time for quick comment before lvn’ for the day but.. I love it…she ticked all the Archuboxes alrighty. Well…only “the blind” or “otherwise agendized” meet and “see” David and could not get it. I loved that review…was that Vanessa Williams as in Ugly Betty?..or am I stupid and there’s another? ?..I didn’t even see her publicized as backround vocals and would think someone of her notoriety would have been or I missed it. Ok…off to a beach picnic…maybe back to catch up on all the postings here later! Oh yea….and I meant to also say…I too noticed Jimmy Smit’s “enthusiastic intro” and loved it and him for it. He is on her mind. 🙂 I bet she can’t get him out. This is the sweetest tweet I’ve ever seen. Emily, you’re like an on-the-scene- reporter, and a great one at that. Thanks for the “in the trenches” account of last night. I would’ve liked David to be given more of a “set” (3 songs would have been nice). but one SBM is equal to 3 from anyone else. After David sang “Shop Around” Ryan Seacrest told the home audience “You can only vote for him. You can’t adopt him” He has been proven wrong. David has become America’s favorite son, brother, friend, singer, and humanitarian. Ryan was right about one thing that same night, though. At one point, he appeared to have a “moment” and said to David “You’re so likable”. Truer and more understated words have never been spoken. I hope everyone’s 4th was awesome. We had a great time fishing and swimming and watching fireworks. Came back here and watched David’s performances on the site, but I also have it recorded. He was incredible! What a sweet treat to top off a wonderful day! Love the comments and observations from our ace reporter, emilyluvsarchie! David just tweeted while I was typing this that he just went through the holocaust museum. He is really taking advantage of his time there in Washington to get an education. He’s like a sponge. So after a fish fry at lunch the family will be going back to the coast. I’m off work today for the holiday. Anyone else have the day off? Wow, David has picked up around 7oo new “followers” this weekend on Twitter! Had a family filled day yesterday…Wasn’t he amazing?! And like if that wasn’t enough here is his first tweet of the day. Talk about getting an education. Angelica – “fishing, swimming, fireworks and David performances” sounds like the perfect Fourth! I found myself fangirling way too much to my husband. Likewise, he was going on and on and on about his favorite men in history. (Lincoln, Jefferson, Franklin, The Roosevelts (both of them) It all evened out! Off to work in about an hour. 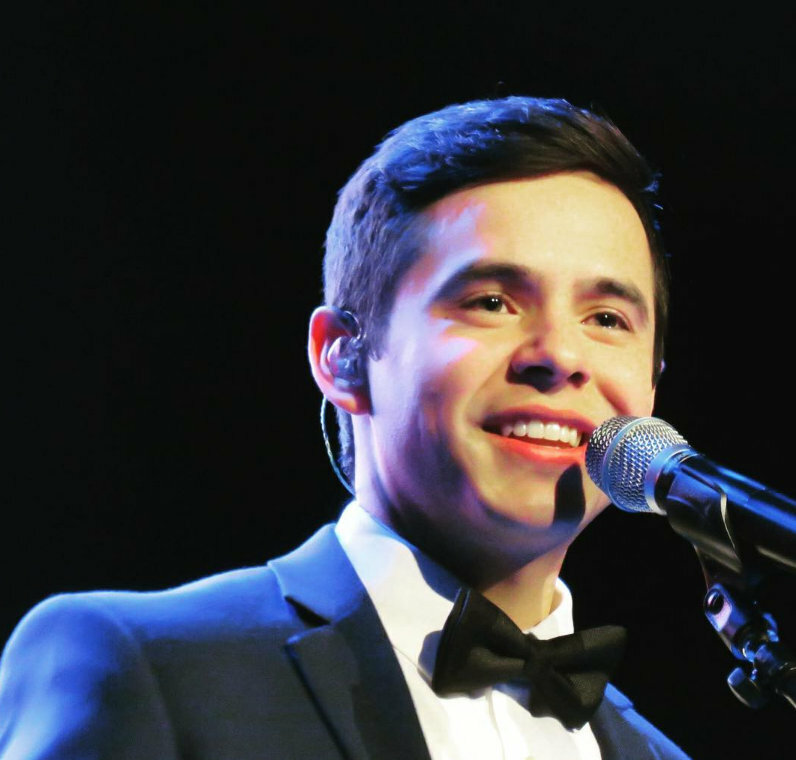 @JewishTweets @DavidArchie: Thanks for sharing your experience. Hope it inspires more people to become educated about the Holocaust. Love that he’s making the most of his time in DC before heading out to Vegas for the iPOP Teen Convention on 7/6 and the next book signing on Wednesday, 7/7. After that, it’s on to The Tejano Awards in San Antonio, TX, next Sunday, 7/11. I am very glad to know that David visited the Holocaust Museum. It is a living memorial to the massive loss of humanity, of Jews and non-Jews alike, who perished under the Nazi regime. Whatever your religion, nationality or creed, to spend a few hours walking through the halls and corridors, reading the texts, viewing the photographs, seeing an actual cattle car where innocents were transported to the prison camps, taking in the massive piles of children’s shoes and glasses left behind by those who were sent to the gas chambers…suffice it to say one cannot help but be shocked, outraged and deeply saddened by the atrocities suffered by so many innocent people and the extraordinary loss of human life. A very dark time in history, as we all know. I am certain that David was deeply moved by the experience. A sobering reminder this holiday weekend to be thankful for the blessings of freedom and democracy that we enjoy in our country. Welcome to The Voice Lizardj, please join in! Somethin Bout Love Arrives in Manila! The long wait is over!!!!!!!!!!!!!!!!!!!!!!!!!! Around 5pm today… a familiar intro was played on Magic 89.9…. and an angelic voice followed..
Somethin Bout Love is playing on a local radio station in the Philippines!!! for the FIRST TIME!!! Thank you for so eloquently saying what is in my heart but was too choked up to express. WASHINGTON — It was hot. Period. But there’s something about strolling the National Mall and watching a huge fireworks show explode behind the Washington Monument that brings people out in droves every year to downtown Washington on July 4. The National Park Service does not provide crowd estimates, but numbers released by the Washington Metropolitan Area Transit Authority suggested over 400,000 turned out Sunday for the Capitol Fourth concert, which was broadcast to millions more on PBS and National Public Radio stations across the country. 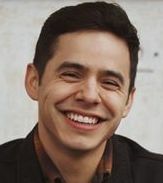 After the heat broke and the sun began to set, American Idol runner-up David Archuleta sang the national anthem to kick of the Capitol Fourth concert. Darius Rucker, Gladys Knight, Reba McEntire and the National Symphony Orchestra also performed. David has his eye on the ball at all times. I constantly marvel at his instinct to say the right thing, do the right thing, deflect negativity, minimize potentially damaging events, and absolutely always takes the high road without diminishing others. In his mind, it is never about him, and always about everybody else. Frankly, I don’t know how he is able to handle the fact that he is adored by so many people, when,,to him, it’s all about them. As for his visit to the Holocaust Museum, name me one other 19 year old star with a book, a single, and an upcoming CD and tour, who just performed in front of hundreds of thousands of people, and decides to spend the next day acknowledging the suffering of people who were exterminated 50 years before he was born. I’ll tell you, I can’t take much more of this kid. He’s beyond belief. About your preference to see him in t-shirt singing “Touch my Hand”, I don’t believe you. You would take David hopping around in a bunny suit singing “follow the yellow brick road” and you would say, “Wow, stunning, thought provoking and beyond words!” (So would I.) True? Thank you for taking the leap out of lurkdom. We all have a voice here and yours is very important too. Isn’t this the truth, but I think we’re meant to be here to support and promote this amazing young man. You with your profound words are at the forefront. Thank you. David’s a delightful young man, and I pray, one of the ones who won’t be negatively impacted by notoriety. We made it all the way through dinner before a young girl rushed up to him and asked, “Are you American Idol?” That was followed by lots of cell phone photos and a father who said, “I don’t know who you are, but my son says you’re famous”. Another excited girl seemed to be trying to see how many different poses she could make. We all stood around like mother hens with Lupe laughing at it all, and at the same time, making sure things didn’t get out of hand. David could have spent his last day in DC relaxing, going to a cool restaurant, shopping at a mall in Maryland, or incognito at the movies. Instead he went to a place where I’m sure he knew would make him come face to face with human suffering. Most people try to avoid thinking about those things. David faces them. My cup runneth over! I’m all worn out from the past two days and I’m just a crazed fan. David takes it all in stride. Imagine performing for 400,000 plus in the live audience, plus the TV viewing audience including our Armed Forces overseas and hitting it out of the park! Then calmly go about being Joe Schmo tourist, because in his mind, he was on the receiving end of the treat– not everyone else. I’m with Bliss “He’s beyond belief.” How can it get any better. I know –dumb question–of course it can–and it will. I’m in “awe” too! Here is a video of David rehearsing “Stand By Me” — heck he sounds beyond belief in the rehearsal! I made an .mp3 of Stand By Me ( partial) from # 200 youtube. It was so good! Zoe, Bliss, Bebe, dakgal, Of all the Smithsonian museums, he chose to visit the Holocaust museum, a place that documented unspeakable human cruelty and suffering as well as perseverance and hope. I guess we don’t have to worry about his not graduating from high school and not going to college. He is giving himself an education that is more meaningful than he could ever receive in any classrooms. Furthermore, of all things he did today and yesterday, he chose to tweet about the museum, to bring awareness to, as Bliss put it, “the suffering of people who were exterminated 50 years before he was born.” What a unbelievably remarkable young man!! As I remember posting recently, this young man’s heart is every bit as big as his talent. Pabuckie#200: Awesome sound on that video! Thanks! YJ#202 Hands on lessons in World History is better than any classroom, IMO. Silverfox#204 “Chords of Strength II” <<<< Yes! I’m not a regular poster, but I lurk almost daily and thoroughly enjoy everyone’s comments. It’s wonderful to be amongst others who truly appreciate David…my family thinks I’m a bit crazy! Thanks for all the pictures and videos and wonderful expressions of support for David that help me realize I am not crazy…just very lucky. Bliss, I love your words–I constantly marvel at him too. Last night he SOUNDED great and he LOOKED great, but more importantly he was able to make everyone FEEL great! It’s that smile you see on everyone’s face when he is around. He does this to me every time! Bliss…keep writing, I know that I need to hear your comments because they seem to sort out what has just happened and you write about it in the best light possible and when it is needed. Does that make any sense at all? Just came back online after a mini-blackout. Nothing makes me lose perspective more than the prospect of having no electricity overnight in 100 degree heat. Fortunately, this one was not too long, and I can return to taking for granted the comforts and conveniences that 95% of the world’s people live without their entire lives. I appreciate all the supportive posts I received today following David’s visit to the Holocaust Museum. To David, there is only one ethnic group: Humanity. 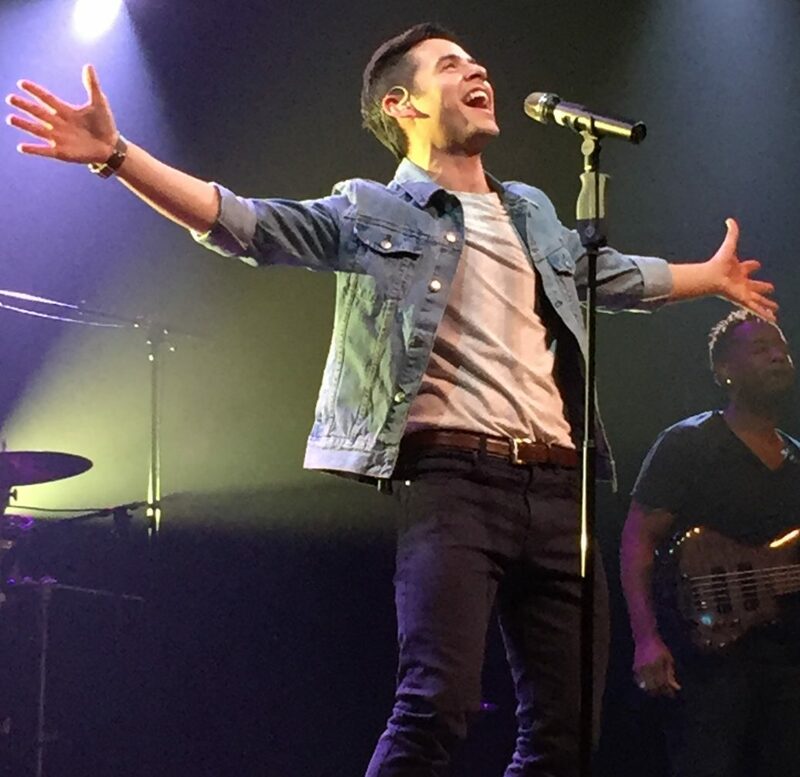 I’m lovin’ how David is gaining respect at every venue or radio station that he sings for or talks to. Lizardj #185– my daughter and son-in-law live in Monticello, and she introduced us to the Blanding 4th of July celebrations last year, and we enjoyed it so much we went back this year. It was lots of fun and very warm (not talking about the weather)and cozy. We love it!! And yes, it’s a very small world. It was in Blanding last year on the 4th that I reconnected with an old high school friend!! Please stay around and post more often. “You are onto something” with David only seeing “one ethnic group: Humanity.” That’s what BEBE said to me the other night in chat when I noted that David doesn’t seem to see us critically in categories: old, young, fat, beautiful, ugly, rich, poor… Which is again, exceptional for any human, especially a teen.I think I heard David express once that he likes everybody, I think he sees something of worth and value in every person he meets. David seems to see each person, as a person before he sees the roles they play. He’s the type oh person who learns their office building janitors’ names. David seems to respect everybody just because everybody deserves respect. I think the “big brother” in David keeps him on the look out for the weak– and that he has much compassion for the sick and disabled. He is able to see thru the outside to the inside and respect each person’s dignity and sense of self. He sees, and then he covers it all with kindness because he loves. I actually quoted you tonight at my family’s 4th Celebration when I discovered my step brother was into AI.. He has not been following David but knew, once I told him about it, that the Capitol performance had to be special, and he knew that David seemed to be “well rounded.” He has three kids that are in their late teens, early 20’s so I said to him…. ” How many 19 year olds do you know….”with a book, a single, and an upcoming CD and tour, who just performed in front of hundreds of thousands of people, and decides to spend the next day acknowledging the suffering of people who were exterminated 50 years before he was born,,,” It was really fun to have all those thoughts pulled together, so thank you Bliss! I am pretty sure my stepbrother will be checking YOUTUBE for David real soon. bliss– “To David, there is only one ethnic group: Humanity.”–such beautiful words. I was listening to ‘Somos el Mundo’ on our return trip home yesterday, and then to hear David later sing the NA and SBM, it hit me deeply–David does ‘belive’ in humanity and he is going to do all within his God-given power to better this world. He’ll do it one song, one charity, and one warm smile at a time, but he will do it. David is the definition of unconditional love. Kaycee…Welcome to The Voice and come back often! Bliss,To David, there is only one ethnic group: Humanity. Emi,I think the “big brother” in David keeps him on the look out for the weak– and that he has much compassion for the sick and disabled. He is able to see thru the outside to the inside and respect each person’s dignity and sense of self. He sees, and then he covers it all with kindness because he loves. Tawna, David does ‘belive’ in humanity and he is going to do all within his God-given power to better this world. He’ll do it one song, one charity, and one warm smile at a time, but he will do it. David is the definition of unconditional love. You have written such beautiful sentiments! What a wonderful way to end the night. Bliss: The heat was unbearable in NY today; not surprised about the blackouts. Glad you’re up and running again. Emifriend: I remember our conversation. In fact, we have some of the best conversations late at night in The Voice Unplugged. David doesn’t categorize people by age or any by any other criteria. Everyone is equal to him. That’s why he relates so well with all of his fans, despite our ages. It’s a remarkable trait for someone his age. Most 19 year-olds label adults by what type of music they like or by hold old they are or by how they dress. I don’t think David focuses on those things at all. Peeling away the layers of his personality is like discovering gold. Each layer reveals more brilliance. So glad David can finally relax and be a couch potato. He deserves a much-needed rest. Djafan ~ You have mail. I edited and switched some footage of the concert to give additional context (e.g. shots of the venue, size of crowd, introduction of performers, etc…), especially for those who were unable to watch the whole event. Enjoy! RE the whole concert — I must say I enjoyed the performances of Darius and Gladys. David could learn a lot from these two. The energy level of their voices carried their songs, even those with more upbeat tempo. And w/o them having to run across the stage. Esp Gladys. Senior citizens FTW! Hope David gets to work with Gladys someday. BLISSSSSS! That’s it – you are moving in to my house! I have an extra room LOL. Dang it. If I ever make it to NY I am officially inviting myself over to your place! I wanna meet you! Hi everyone! He is too much.